Radon gas can be extremely dangerous if you are exposed to it on a regular basis. According to the Environmental Protection Agency, radon is currently the second-leading cause of lung cancer in the nation and exposure to radon results in more than 20,000 deaths in the U.S. every year. Therefore, the EPA suggests that all homeowners have their homes inspected for the presence of radon at least once every two years. 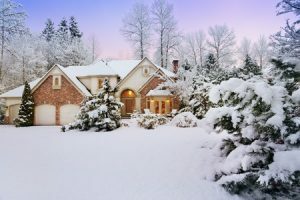 Although you can have a radon inspection conducted at any time of year, it’s usually best to have it done in the winter. That’s because people tend to keep their windows and doors closed this time of year, which makes it easier to get an accurate radon reading. When windows and doors are left open during the summer, on the other hand, radon gas can escape and compromise the accuracy of the test. Winter is also a great time to have radon inspections done because many towns and cities offer discount radon test kits to homeowners during National Radon Action Month in January. Have you been thinking about having a radon inspection conducted in your home? At Radon Zapper, our licensed inspectors would be happy to lend a hand. We can test your home for the presence of radon gas, and even offer radon mitigation services if necessary. This way, you can rest easy knowing your home is safe for you and your family. Just give us a call at (845) 467-1117 to schedule a radon inspection today!